He commands the seas and now your bath tub! 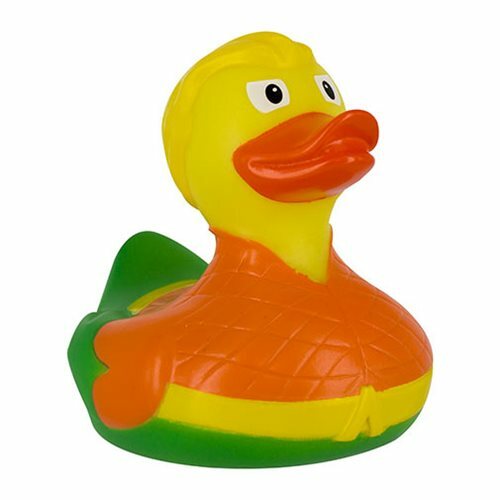 The DC Comics Aquaman Bath Duck is the perfect addition to your collection. Measures about 3 2/5-inches tall. It's just what you need for your tub or pool!